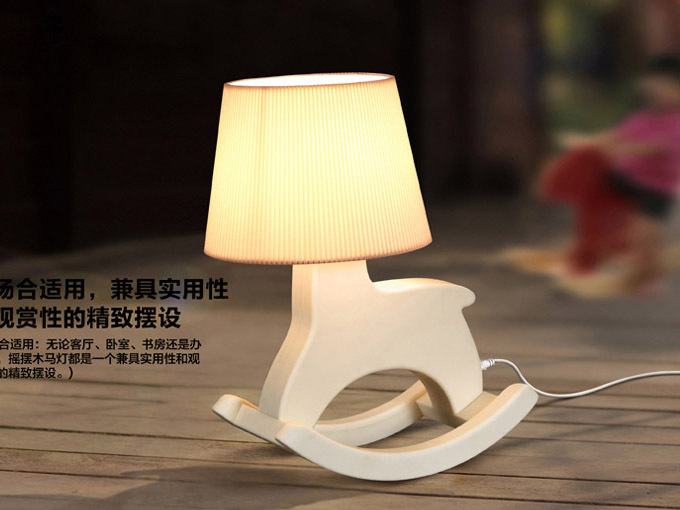 With the Trojan night light, your thought and aspirations will smoothly gallop towards the dream realm. 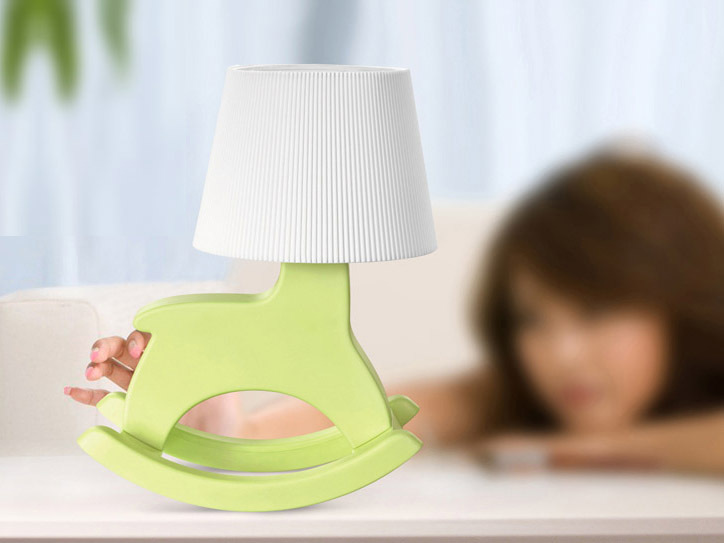 Give the night light a little push, and it will gently rock you to sleep. Nothing will disturb your night's rest with this horse (except perhaps the howling of the cat, who suddenly decides he doesn't like his manicure after all)! 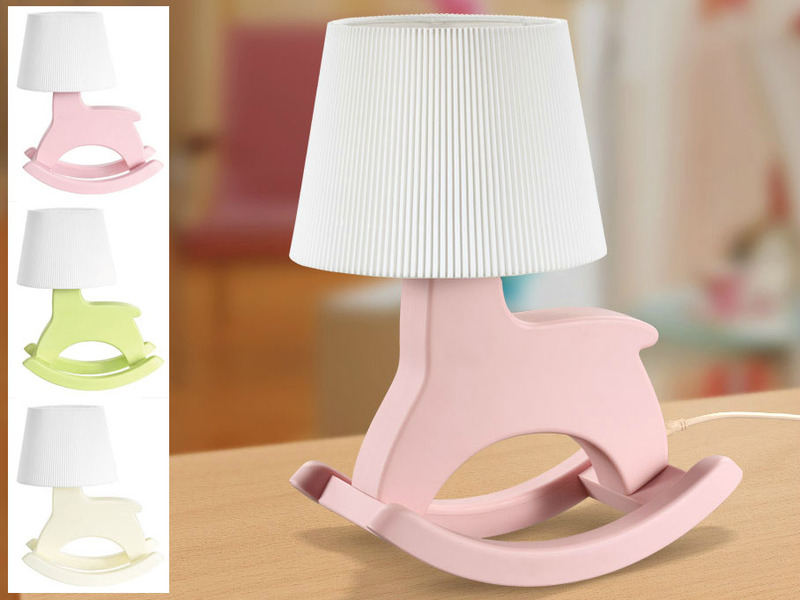 Trojan night light comes in three soothing colours: pink, green and white. 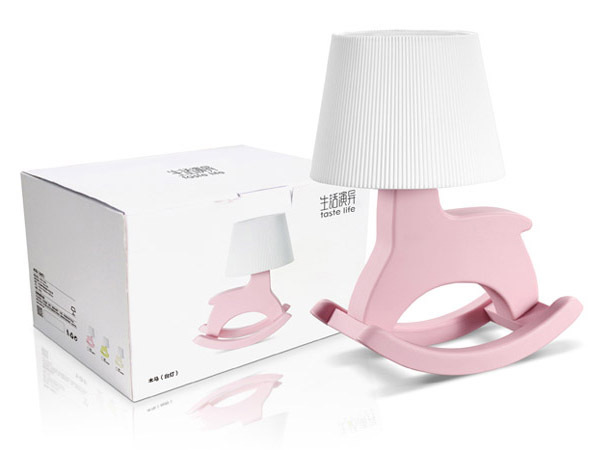 The lamp is fitted with a dimmer to fully attune the light to your nighttime activities, so you'll only need one lamp to read your favourite book and to fall asleep with.